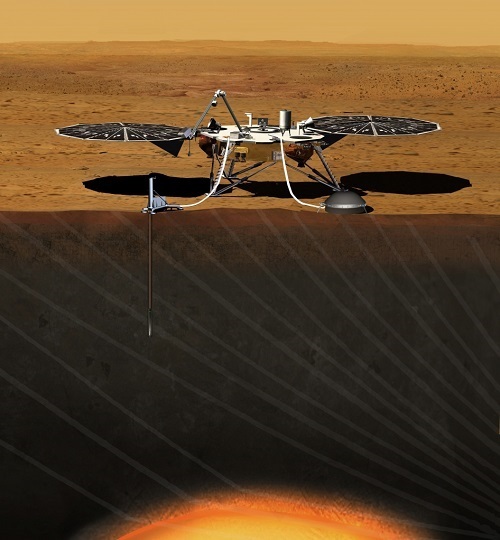 NASA’s Mars InSight is scheduled to touch down in the Elysium Planitia region in November 2018 to study the Martian interior and measure seismic activity. Two 6U MarCO CubeSats are being launched as secondary payloads to transmit InSight entry, descent and lander data back to Earth. Webcast on NASA TV at www.nasa.gov and ULA’s website at www.ulalaunch.com. Bangabandhu 1 will fly aboard SpaceX’s first upgraded Falcon 9 Block 5 variant, which features a first stage designed for frequent and easier reuse. SpaceX is launching two Gravity Recovery and Climate Experiment Follow-On (GRACE Follow-On) satellites for NASA and the German Research Centre for Geosciences (GFZ). The flight will use a previously-flown first stage. The Falcon 9 booster will use a previously-flown first stage to launch the satellite, which was built by Airbus Defense and Space. The satellite will relay communications from the Chang’e-4 lunar lander and rover, which are scheduled for launch the far side of the moon later this year. This mission will carry two microsatellites that will conduct astronomical observations from deep space.